The Amazon Echo Spot is a useful technical device that is able to do many wondrous features. That’s mainly thanks to it being connected to Alexa, the smart cloud-based sound service, which makes it completely hands-free. Music, videos, phone calls, everything is possible with Echo Spot, however, a lot of people still keep it around as a bedside alarm clock. It’s small, compact, and it sure looks better than your old ringer. 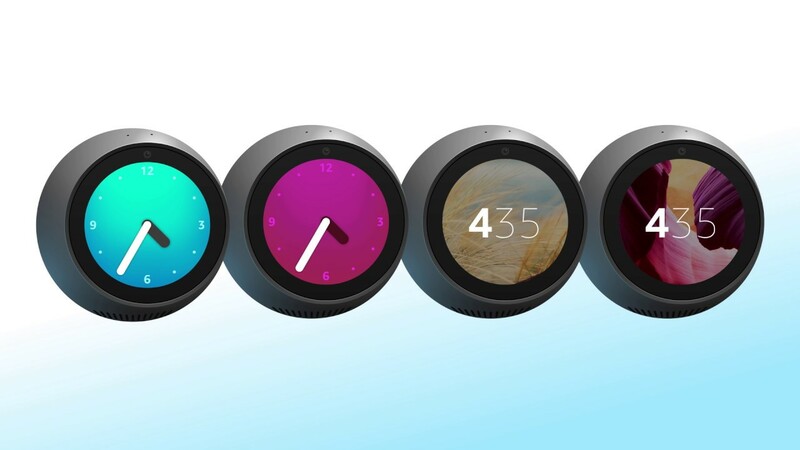 That said, there are many ways to personalize your Amazon Echo Spot device, perfect for all of you out there that are in love with its clock potential. So, let’s see how you can change the clock’s face, to suit your tastes more. Just follow these simple steps. Swipe down from the top of the screen and tap on the little gear icon. Scroll down a little until you find the “ Home & Clock” option. Give that a tap as well. Right on top, you’ll see the “Theme” section. That’s where you need to go, to practically modify your clock aspect. Three options will appear before your very eyes. Analog – that’s the all-time classic, with the moving clock hands. Both Analog and Digital each have six different clock faces to choose from. Just be careful when you tap on one of them, to swipe right or left. In that way, you’ll be able to browse all your possibilities. When you find the one that speaks to you the most, tap on the checkmark at the top and you’re all set. The third option that’s available is the one that offers the highest level of customization possible. And that’s “Personal Photo”. Things are a little tricky with this one so bear with it. Select between the Digital or Analog clock settings. You’ll have two basic options for every one of them, so it won’t be that hard to choose. When you finally decided, tap the checkmark at the top to continue. You can either select a photo that’s already uploaded to your Prime Photos account or upload a photo in the Alexa app, with your settings. The first one is simple, just tap on “Prime Photos” and choose the desired image from an album. If you want to involve Alexa, there’s still a few more things to do. Open up the Alexa app and go to the menu button, that’s in the top left corner. Then, tap on “Settings” and select your Echo Spot from the list of devices that will appear. Scroll down until you find the “Home Screen Background “ menu then tap on “Choose a photo” that’s right under it. You can then happily select a photo from your phone’s camera roll, that will become your new clock face. And that’s it. You can now enjoy your customized device. With a theme of your choice or that beautiful family photo, it’s surely more fit for its honorable place on your bed stand. It’s a nice feeling to have one of your favorite photos, greet you every time you wake up, or just simply glimpse at the device.